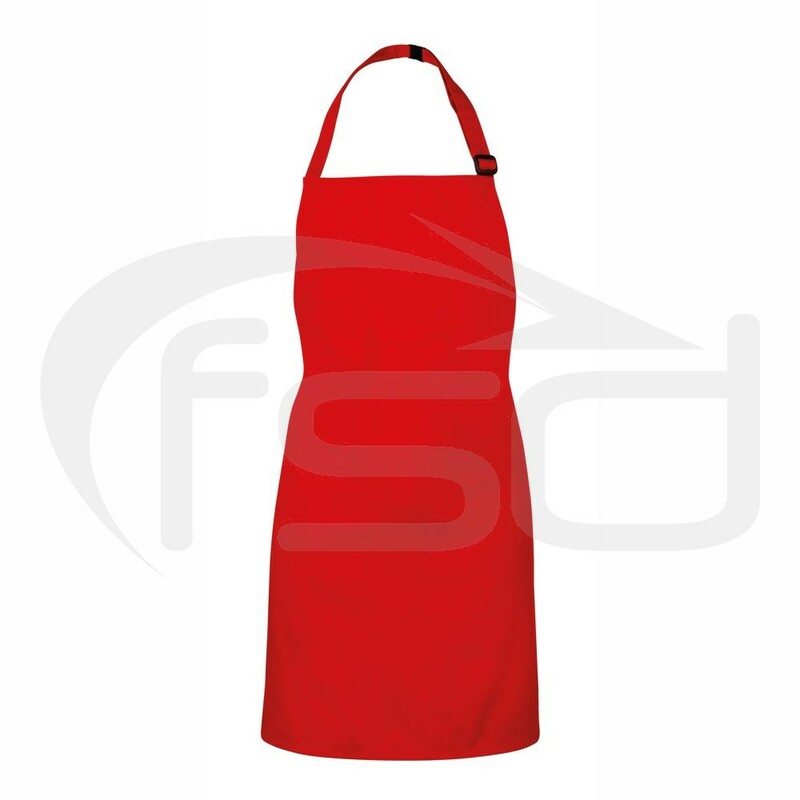 A classic bib apron in a range of colours for children in the 3 to 6 age range. 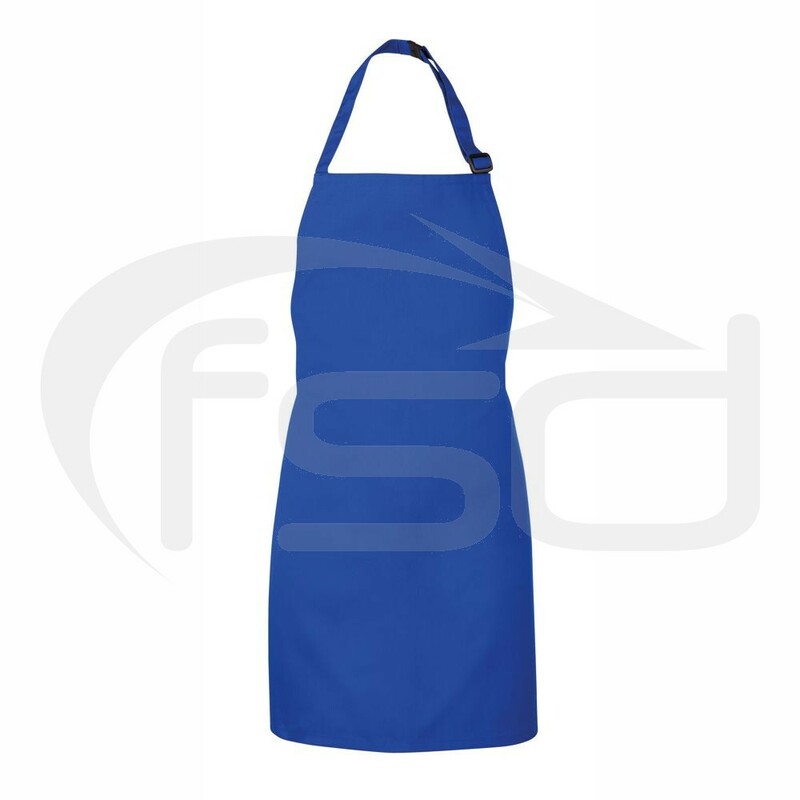 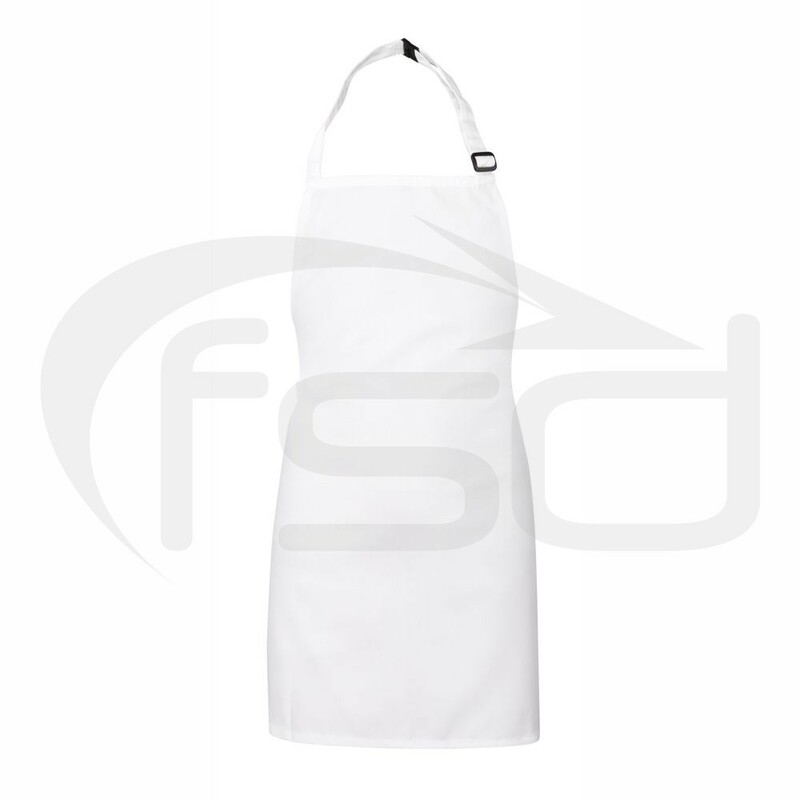 Made from polycotton (65% polyester, 35% cotton) these aprons have a self-fabric neckband with adjuster and self-fabric ties. 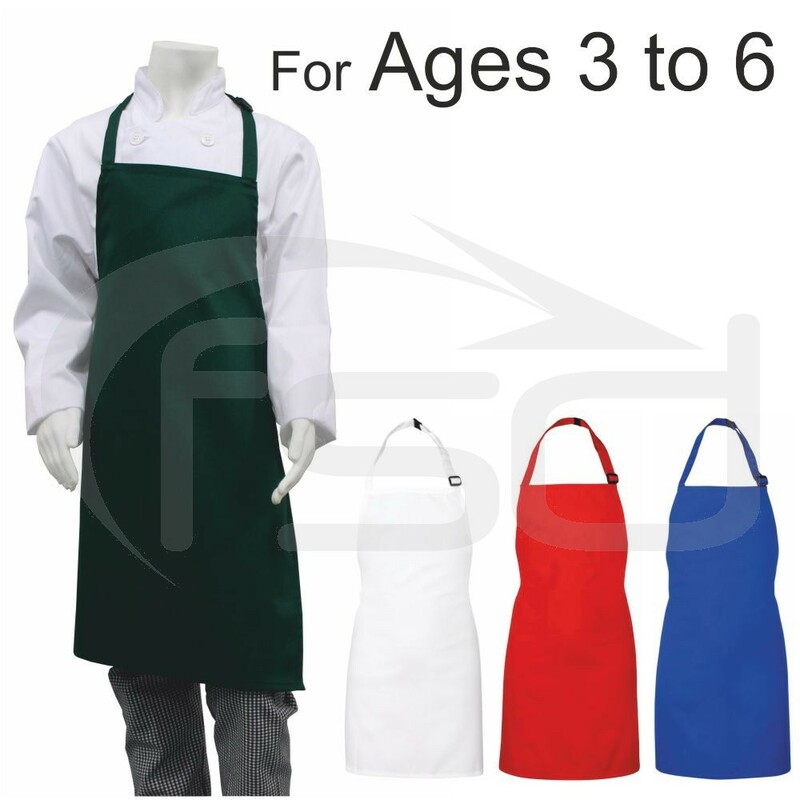 This apron can be matched with our other children's chef wear to complete a uniform. 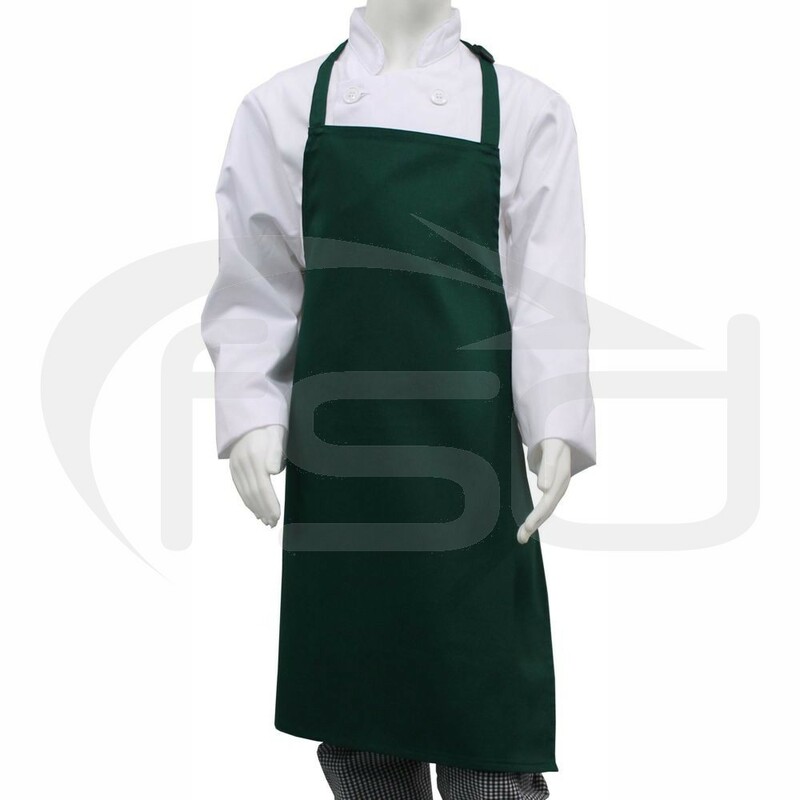 Self fabric ties 50cm long.